Chicago police “accidentally struck and tragically killed” a mother of five after responding to a domestic disturbance, department officials say. 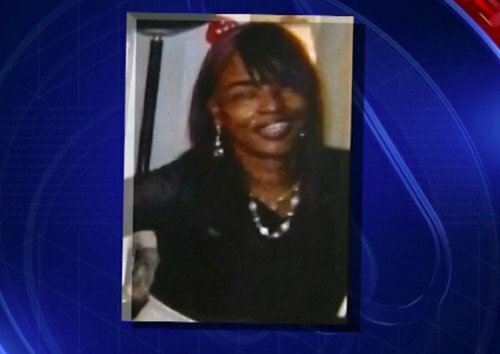 Bettie Jones, 55, was killed along with her neighbor, 19-year-old Quintonio LeGrier, who was the reason for the police call-out on December 26. Chicago Mayor Rahm Emanuel said an investigation had been launched. The city’s police department is already the subject of a federal investigation over its use of force. It follows the killing of a black teenager by a white officer in 2014. December 26 double shooting happened in the early hours. Antonio LeGrier told the Chicago Sun-Times that he had returned home to find his son, who had mental health issues, in an agitated state. Antonio LeGrier said he called the police, and warned his neighbor Bettie Jones, who lived on the floor below, about what was going on. When the police arrived, the man said, he heard gunshots and found his son and Bettie Jones lying in the foyer. Chicago Police Department said in a statement that “upon arrival, officers were confronted by a combative subject resulting in the discharging of the officer’s weapon, fatally wounding two individuals. US Attorney General Loretta Lynch announced earlier this month that a federal investigation into the Chicago Police Department would focus on whether there was a racial dimension to its use of force and its accountability procedures for officers involved in the use of force. According to the Better Government Association, Chicago police shot 240 people between 2010 and 2014, or about one per week. Seventy of those people died and of those, two-thirds were African American. Loretta Lynch’s announcement came after weeks of protest which followed the release of video footage, showing the moment a police officer opened fire on 17-year-old Laquan McDonald, shooting him 16 times, in 2014.